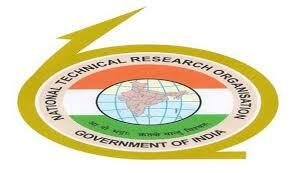 National Technical Research Organization(NTRO) is inviting online application from the eligible candidates for the post of Technical Assistant in Electronics & Computer Branches. Interested and eligible candidates may apply online for the required post through only official website(See URL Below) within 11.08.2017. Educational Qualification: The candidates must possess a general graduate degree in science discipline OR a diploma course in engineering of Electronics,Communication,Electronics & Communication, Telecommunication,Electronics & Telecommunication. Age Limit: 30 Years as on 11.08.2017(Age relaxation 5 years for SC, 3 years for OBC). Educational Qualification: The candidates must possess a general graduate degree in Science discipline (Math. Physics as major subjects) OR a Computer Application degree from a recognize university. Other Information: The candidates will be selected as per computer based written examination. The written examination will be held on 26th & 27th August, 2017 in Kolkata, Guwahati, Jaipur, Silchar, Bengaluru, Hyderabad and Kerala. There are 100 questions in written examination and the examination duration is 2 hours. The question of written examination will be based on the subjects- General Science, Current Affairs, Quantitative Aptitudes, Reasoning and Electronics or Computer Science. There will be one negative marking for each wrong answer. Last date for submission of online application is 11.08.2017.